An emblem is an occult representation of an idea, principle, or truth which cannot be seen with the natural eye, but may be perceived by the mind and heart. Thus, the square is in Freemasonry an emblem of morality; a plumb line, of rectitude of conduct; and a level, of equality of human conditions. Emblem is very generally used as synonymous with symbol, although the two words do not express exactly the same meaning; an emblem is a visible object representing an idea; a symbol represents an idea or truth by an image whether that image is presented by a tangible object or through words uttered in the form of a parable, legend, tradition, or myth. All emblems are symbols; but all symbols are not emblems. 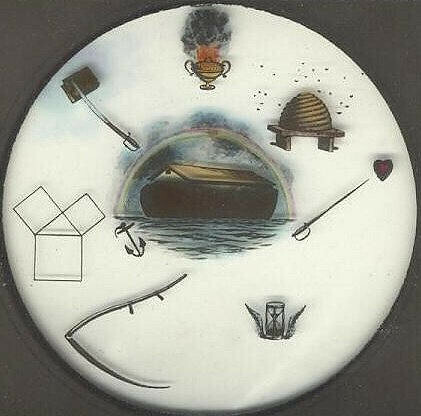 Like the Bible, Masonic history and teachings are filled with emblems, as well as symbols.